Standard & Poor’s has cut Qantas airline credit rating to “junk”. The downgrade could increase the Australian airline’s borrowing costs and sends a warning to investors. The move by S&P comes after Qantas issued a surprise profit warning and announced 1,000 job cuts on Thursday. The carrier expects to make losses of up to A$300 million ($271million) in the July-to-December period. It lowered the carrier’s rating from the lowest investment grade, BBB-, to BB+. 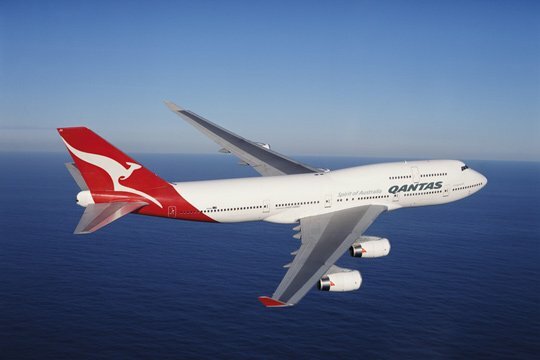 Gareth Evans, chief financial officer of Qantas, said the downgrade was “not unexpected” and “highlights the unprecedented pressures that the Qantas Group is facing from several external forces but particularly from an uneven playing field in the Australian aviation market”. However, Gareth Evans added that Qantas “retains a strong financial position, including a large cash balance and a significant asset base”. Qantas said in a statement that it had a cash balance of A$2.8 billion as of June 30 2013 and had reduced its debt by A$1 billion in the last financial year. Moody’s rating agency warned on Thursday that it may also lower the Australian flag carrier’s rating. Qantas has been hurt by a range of factors in recent times including higher fuel costs, subdued global travel demand and increased competition. The airline has claimed that its ownership rules, which limit total foreign holding of Qantas to 49%, with foreign airlines allowed to own just 35%, have further hurt its growth. Qantas has argued that limits on its foreign ownership have benefited arch rival Virgin, which has attracted investment from foreign carriers Etihad, Singapore Airlines and Air New Zealand. Last month, the airline backed a suggestion by Australian Treasurer Joe Hockey that these rules should be changed. Qantas has also said it needs government action to help it compete more effectively. Australia’s PM Tony Abbott indicated that the government was unlikely to give Qantas any financial support.